I’m almost embarrassed to post this blog since it’s two weeks late but life, and to be honest, the need for some kind of sleep has scuppered my scheduling plans somewhat. So, Doors Open Day! 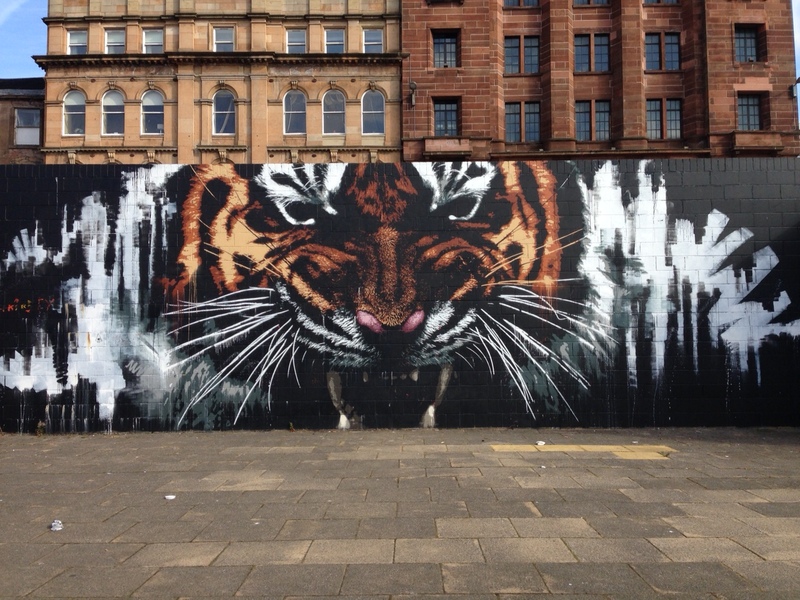 First of all I want to say that this was one of the most fun weekends I’ve had in ages…..
Our day on the Saturday started as we waiting outside the City Chambers for our Glasgow Mural Walk to begin. Our tour guides for the day were two Glasgow City Council employees, Shamus and John. They spoke with pride when describing the process that the artists used to create their street masterpieces. You could tell that they were passionate about the project which brings colour into the sometimes harsh City Centre. This post could be LOOOONG with the amount of photos that I took so I’ve picked out some of my favourites. We followed a map available to download here and the first stop was past some Hip-Hop Marrionettes. I had only stumbled across this one a few months ago and I love the cheekiness of it. A starry night at Strathclyde University. This was a totally new one to me and I ADORE it. 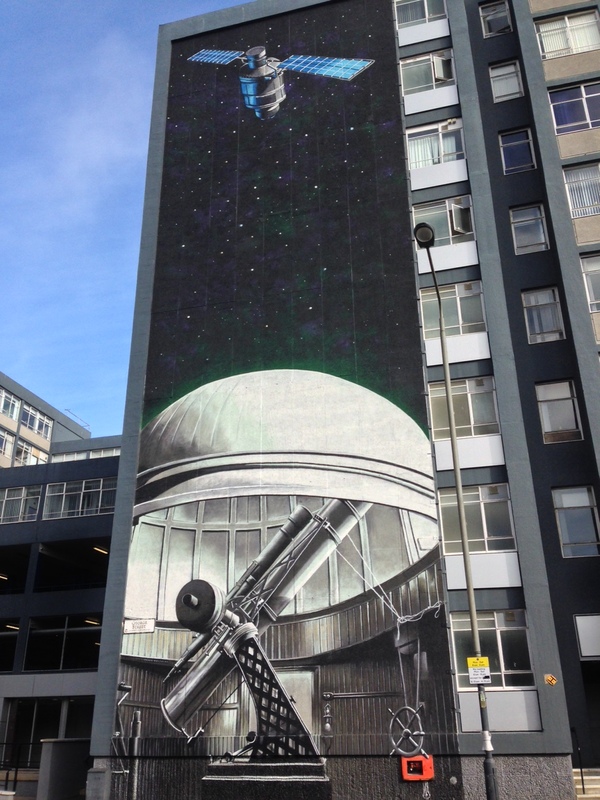 I have a feeling that I will be altering my usual walks through Glasgow so I can just gaze up at it. The artist Klingatron seems to love painting animals (with a crocodile and panda dotted about Glasgow too) but this is definitely my favourite. 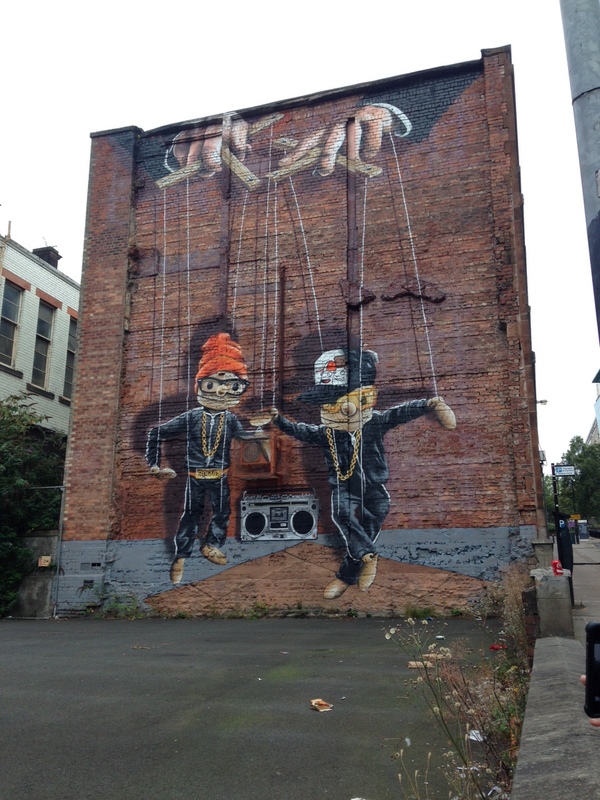 I had seen 90% of the murals before but hearing the stories behind them, about the artists, how long it took to create them and their methods have added a whole new layer to my enjoyment of them. 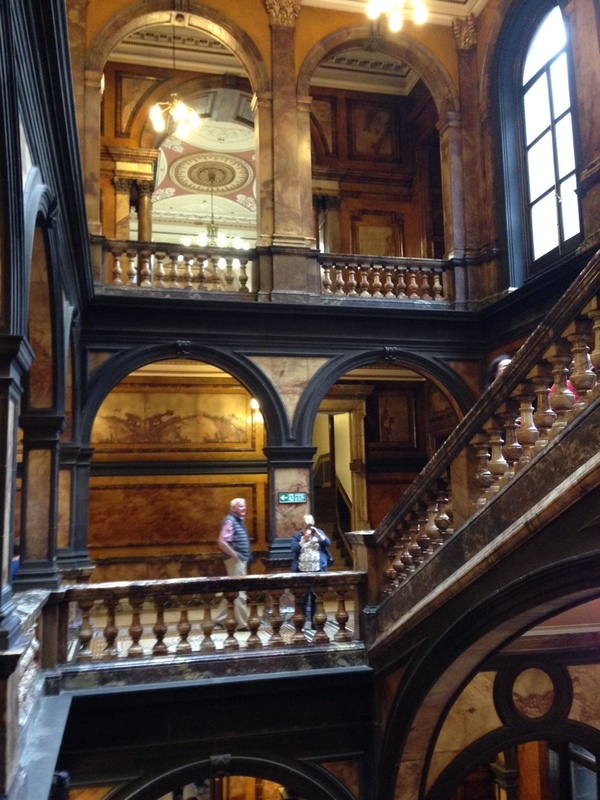 After our walk (which lasted about 1hr 40mins) we took a quick nosy about Glasgow City Chambers – what a building! It has a mixture of gravitas and Hogwarts about it and feels like you are in a very special place. There is lots more to tell you about the weekend and I promise that I will share…eventually! Just need to get some sleep first.